We are located in Mcallen,TX! Embroidery in Mcallen offer custom logo embroidered polo shirts, caps, jackets for small business, corporations, oil& gas industry, schools, churches, sport teams and non-profit organizations 956-580-4488. Thank you for visiting Embroidery In Mcallen. T Shirt Factory is the parent company of Embroidery In Mcallen a full service custom embroidery, screen printing and promotional product company. We specialize in Company Logo Shirts, Embroidery Shirts, School Shirts, Polo Shirts, Golf Shirts, Embroidered Shirts, Caps, Hats, Custom Embroidered Jackets, Custom Embroidery Bags, Sportshirts, Custom Patches,Corporate Wear, Port Authority Shirts, Custom Logo Embroidered Shirts, Heat Transfers and Custom Screen Printing for Small businesses in Mcallen and throughout Texas, Schools, Colleges, Universities, Construction Industry, Oil & Gas Industry, Real Estate, Transporation Companies, Security Companies, Healthcare and Hospitals. t-shirts, ﻿custom screen printing Mcallen﻿, shirts, hats, t shirts, tee shirts, t-shirts, polo shirts, sportwear, mens polo shirts, women polo shirts, lady polo shirts, casual shirts, custom screen printing, custom embroidery apparel, team uniforms, denim shirts, Screen Printing, Promotional items in Mcallen and tradeshow giveaways, Serving Mcallen, Mission, Pharr, Edinburg, Weslaco, Harlingen, Rio Grande City, La Joya, Roma,TX and surrounding Cities and Town in Texas. We accept credit cards and Paypal. We also provide online apparel catalogs to shop online. We are serious about meeting your needs in embroidery services throughout the Greater Mcallen area and the Lone Star State of Texas. ﻿Embroidered Shirts﻿, Caps, Hats, Jackets, Polo Shirts, Knit Shirts, Work Uniforms. Custom embroidered shirts are the most popular products we sell. The Apparel are affordable, and a great way to show off your corporate logo or design with style. 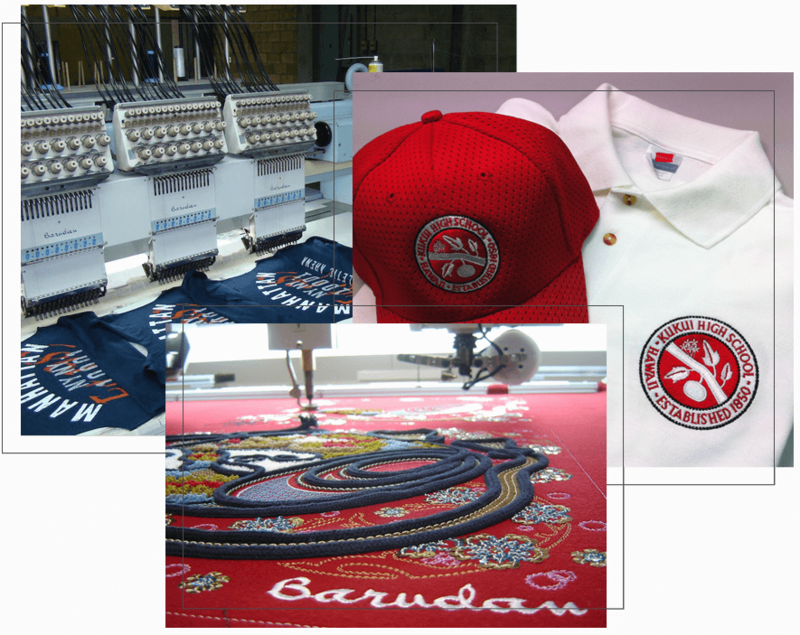 All logos are given to our in-house embroidery professionals to decide on which stitch pattern to use for each section of your custom designed logo. This is the most important part of the embroidery process, because this is how every single one of your shirts will look based on the digitized embroidery file. For that reason, we understand the importance of making your logo stitch patterns looks perfect the first time so it looks good on every single piece. We also offer golf shirts, aprons, cotton twill, hats, caps, company logos, jackets, patches. If you have a small business and want to purchase one shirt we do not have a minimum on our embroidery service. We have over 10 years experience in custom embroidery producing promotional shirts, work uniforms, and other corporate apparel so you can be assured that your project will be done right! Looking to get embroidery done? Then you have come to the right place... We specialize in screenprinting and also embroidery. We service the entire RGV including Mission, La Joya, Mcallen, Edinburg, Pharr, Weslaco Brownsville. Give us a call 956-580-4488 for a free embroidery quote. Since we do wholesale embroidery, you will never be charged with artwork, setup or even digitizing charges. Professionals in the Embroidery and Screen Printing business since 1971. For over 30 years, we have been servicing businesses, teams, and individuals with top quality embroidery and screen printing services. 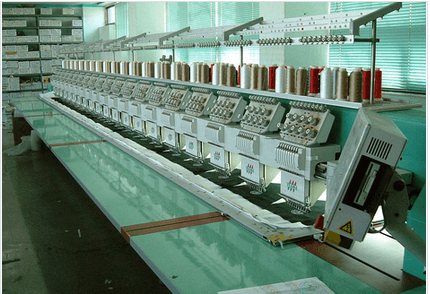 Equipped with multiple multi-head embroidery machines and screen printing presses, we are prepared to handle any size order -- no order is too large or too small. So, give us a call or send us an email letting us know what you will need done, and we will get you a quotation ASAP! If you are an ASI company, send us your business name and your tax exempt information, and we will provide you with our contract pricing. Quality and Service above all We promise to provide you with top quality embroidery and screen printing as well as top notch service. We want you to not only be excited about the final product that you receive from us, but we also want you to enjoy the process as well. Our expert embroidery and screen printing staff will be there for you every step of the way. If you have any questions, or would like any advice along the ordering process, please feel free to ask -- we are here to help in any way we can! Based in Mcallen, Texas, Embroidery provides top quality embroidery digitizing service through a group of professional and talented embroidery digitizers and graphic designers who have been carefully selected and time-tested. We are not interested in doing low-quality digitizing jobs, instead, we devote ourselves to high standards for quality embroidery digitizing and excellent customer service, while our prices are very reasonableWe also provide custom embroidery digitization, our clientele include custom embroidery shops, promotional product companies, apparel manufacturers, home textile suppliers, embroidery hobbyists and more. We have satisfied and loyal customers in US. Perfect Detail and Accuracy Even on Complex Stitch Designs. We always deliver the highest quality results. Even when it comes to small lettering and highly-detailed designs where other providers struggle. We respect the best digitizing services with the best skills. We always try to make the best digitizing. We providing professional custom embroidery digitizing, basic digitizing embroidery, embroidery designs for caps, custom logos digitizing, , artworks & graphics on all sorts of fabrics, textures, garment and apparels - The team of experienced designers, embroiderers and digitizers from the worlds best textile and embroidery industry.